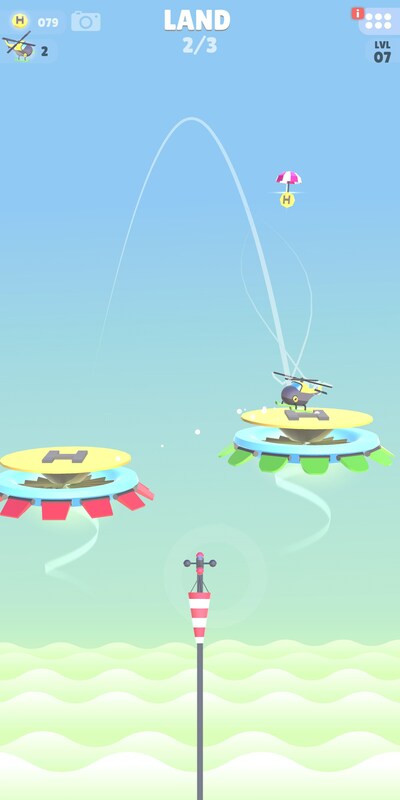 HeliHopper – Games for Android 2018 – Free download. 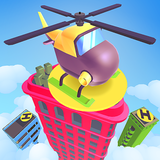 HeliHopper – Do helicopters hop or do they fly? 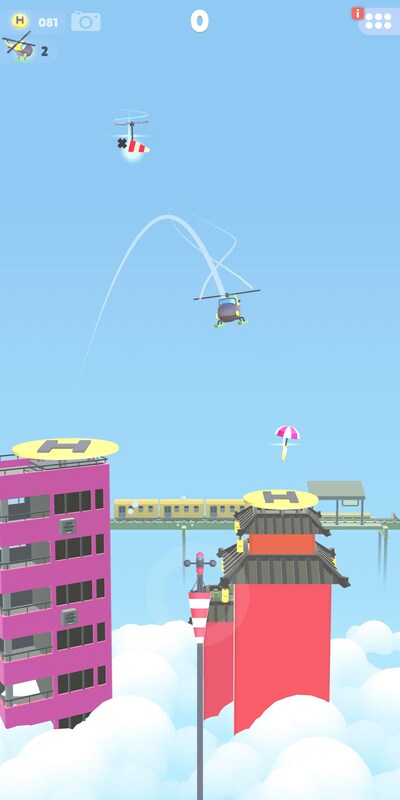 Do helicopters hop or do they fly? These are the important questions you’ll find yourself pondering as you hop (or is it fly?) 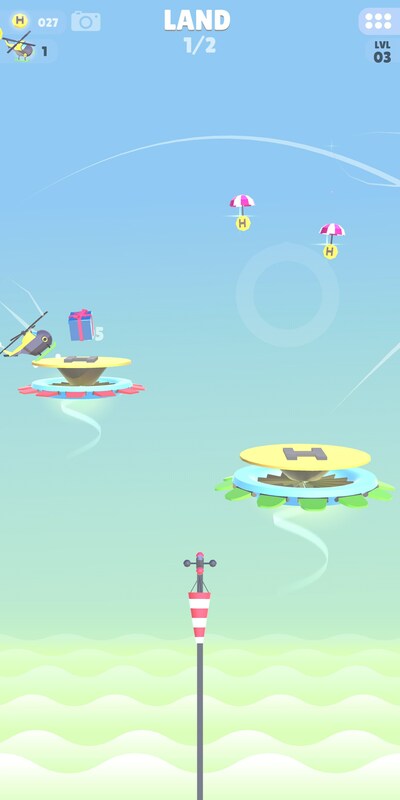 from one rooftop to the next in Helihopper for Android. 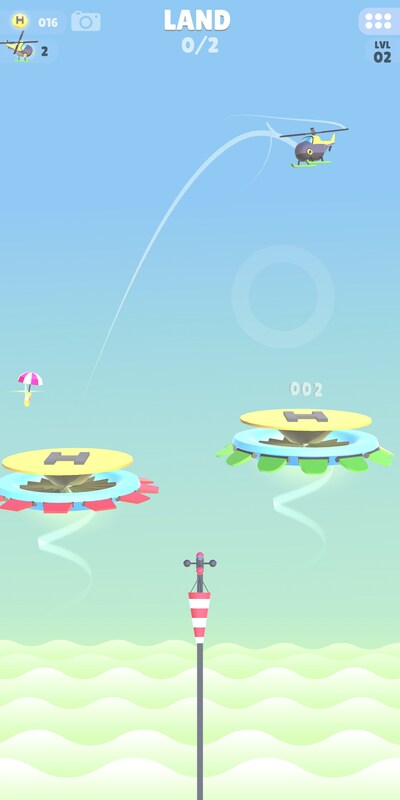 This isn’t really your typical arcade game, though it definitely accommodates for two types of players - those who are into racking up high scores and those who just want to play the game to have fun. This is honestly a pretty simple game overall. 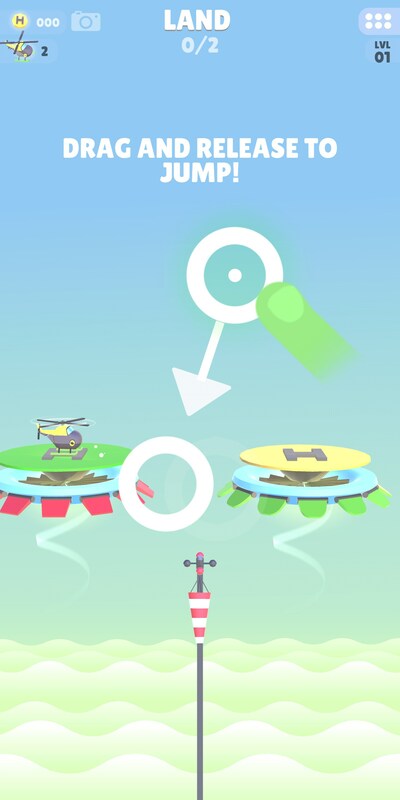 The idea is that you’ll go from level to level trying to launch a helicopter from one landing pad to the next. You can do this two ways: by playing through the campaign or by playing the game in endless mode - which you will unlock later by playing the game. 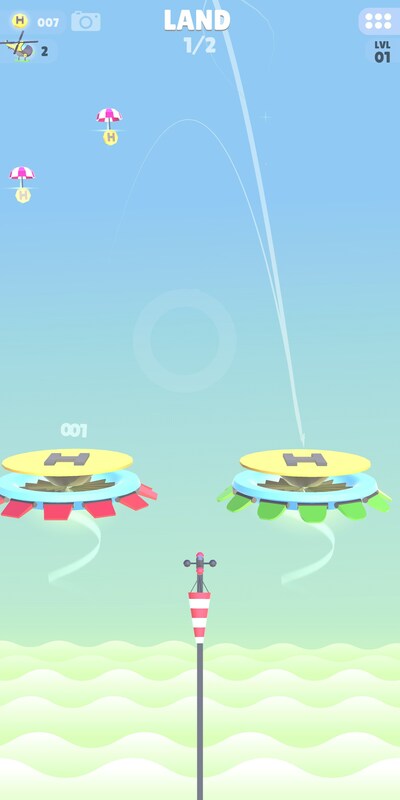 Controls in the game feel a little wonky when you first begin playing. You can’t directly control where the helicopter will go, instead you have to drag a point. When you begin to drag the point, you’ll notice the outline of a path begin to take shape that will predict where your helicopter lands. This makes the game’s difficulty a bit arbitrary until wind begins to be a factor. 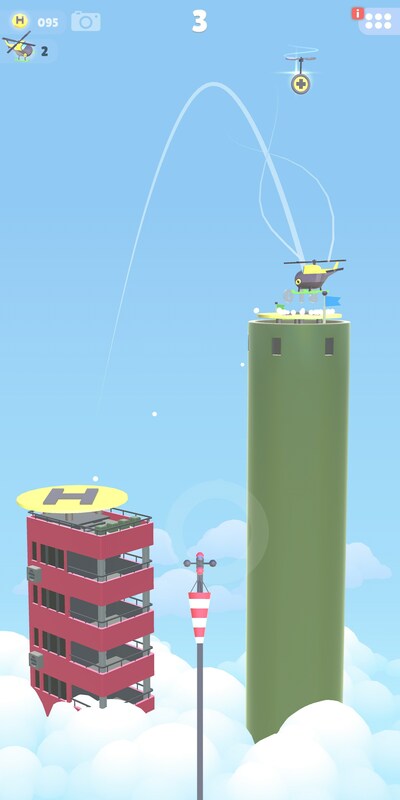 Fortunately, you can also swipe the helicopter to give it a little bump in the direction you need it to land. 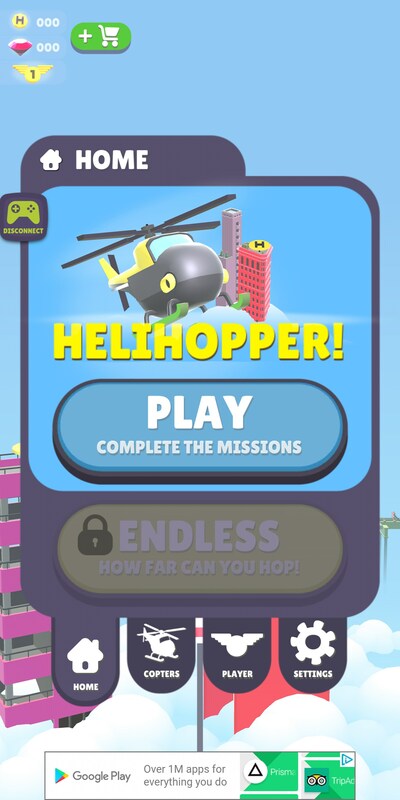 If you find yourself in the need of finding a cool little arcade game to spend some time with, give Helihopper a shot. 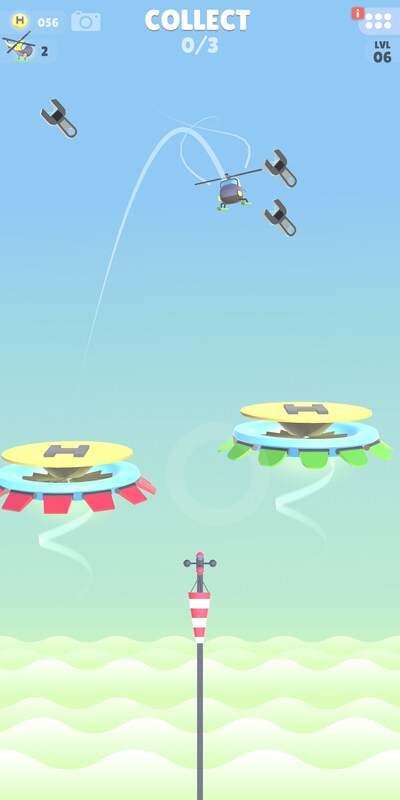 It nails pretty much everything except the odd controls, but even those begin to grow on you fairly quick.